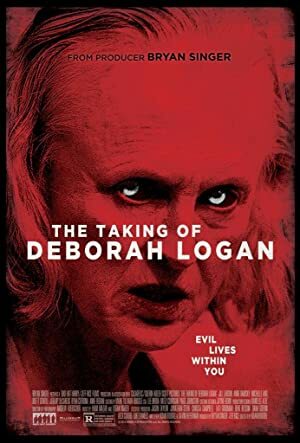 The Taking of Deborah Logan (2014) – What's New on Netflix Canada Today! What starts as a poignant medical documentary about Deborah Logan’s descent into Alzheimer’s disease and her daughter’s struggles as caregiver degenerates into a maddening portrayal of dementia at its most frightening, as hair-raising events begin to plague the family and crew and an unspeakable malevolence threatens to tear the very fabric of sanity from them all. For her Ph.D. thesis, Mia decides to film a woman’s Alzheimer’s battle, but when symptoms turn strange, the family suspects something more sinister. They’re about to find that what they thought was case of Alzheimer’s is something much worse … and much more sinister.